Originating from the world-renowned UK Goth label Nightbreed Recordings, Nightbreed Radio plays the widest range of dark alternative music in the world 24 hours a day, 7 days a week, on demand! Our mission is to bring you the widest selection of 80's & 90's dark classics, as well as the underground releases of today from the Goth, Darkwave, Deathrock, Industrial and Dark Alternative genres. 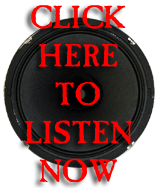 Hit the 'Click here to listen now' link to open the player in another window (please allow pop-ups for this page in your browser). TUNEIN: Probably the easiest way to listen in is by searching for Nightbreed Radio on the Tunein app, available across all platforms. Use the Free Mixcloud iPhone & Android apps as well as their mobile site to catch our shows on demand!